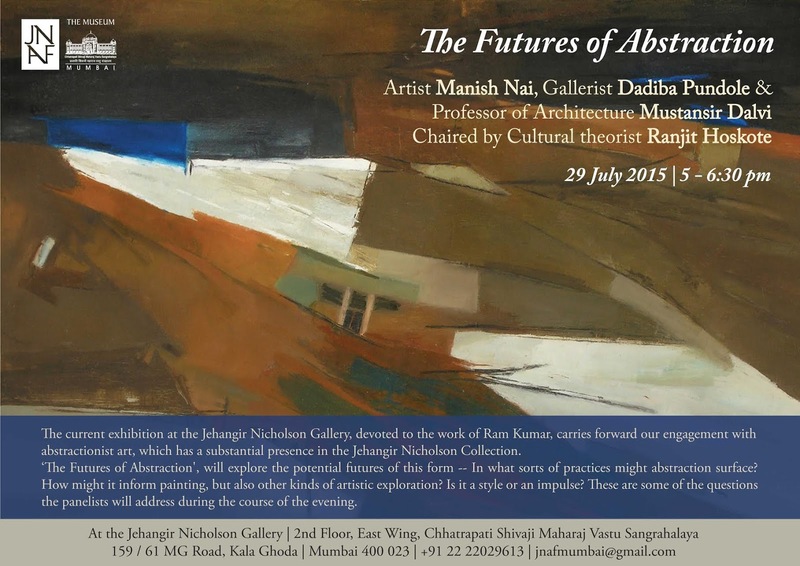 "The Futures of Abstraction" - a panel discussion, gives us the chance to do just that. Artist Manish Nai, Gallerist Dadiba Pundole, Professor of Architecture, Mustansir Dalvi and Cultural theorist Ranjit Hoskote will explore the potential futures of abstractionist art, which has a substantial presence in the Jehangir Nicholson Collection. The 20 works of Ram Kumar that Nicholson put together over the years, are a wonderful example of this. Do join us on the 29th of July, 2015, at 5.30pm. Tea will be served at 5pm.